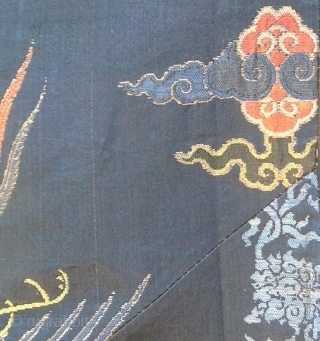 Gold brocaded silk fragment- Kangxi period. 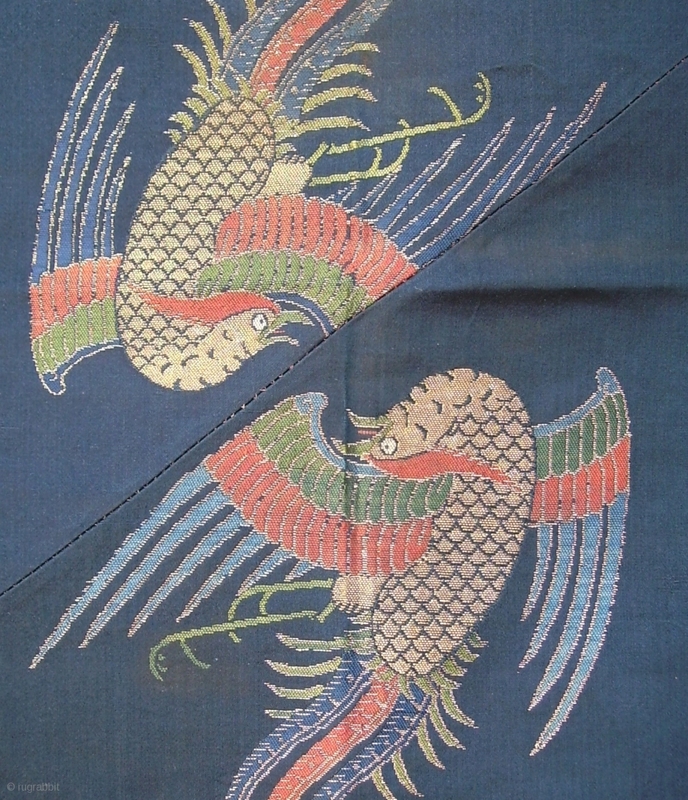 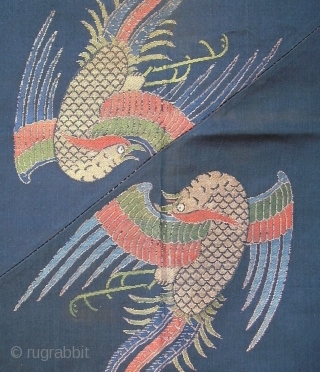 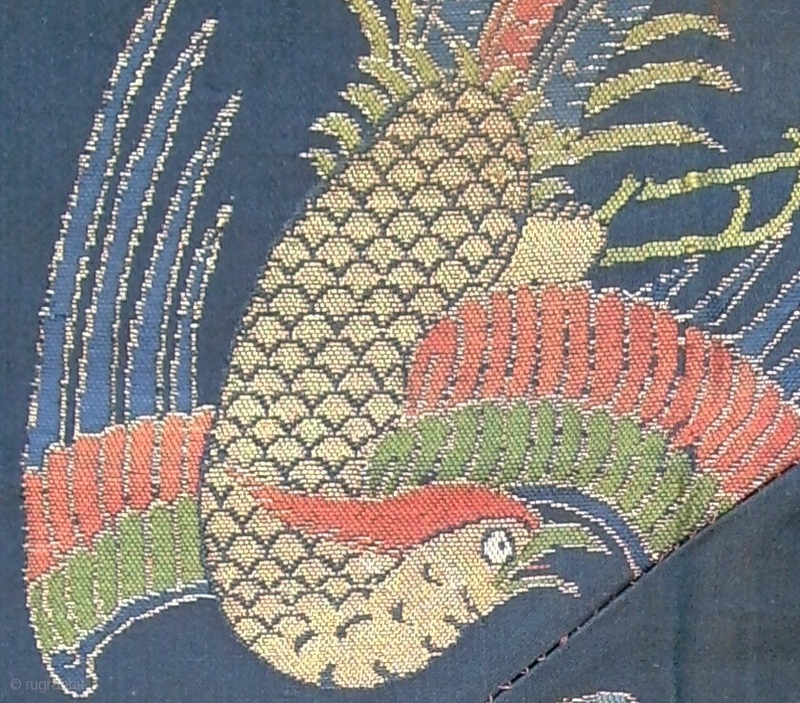 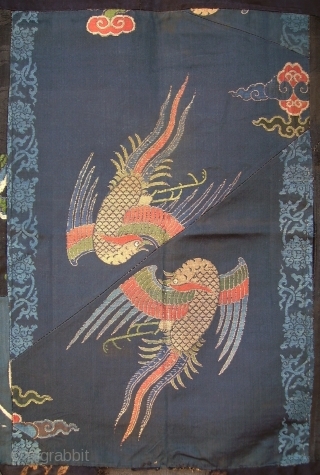 High quality gold brocaded silk fragment with two birds, early Kangxi, 2nd half 17th century. 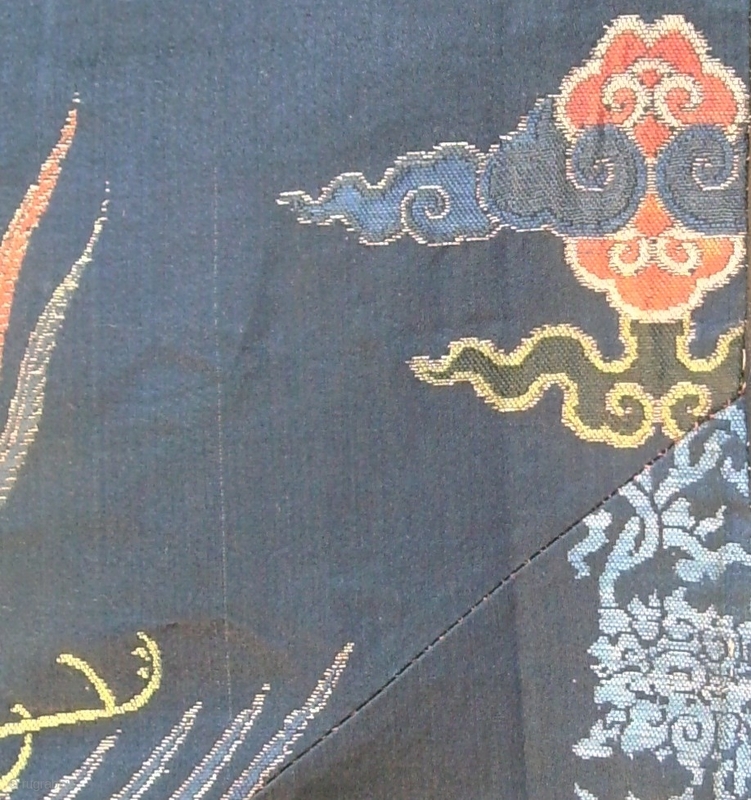 It was possibly part of a chair cover and altered in Tibet into some sort of liturgical patchwork. 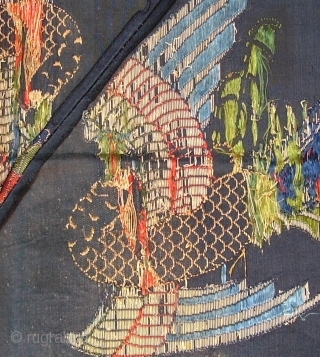 Although just a fragment the silk is in perfect condition with all of the flat gold weaving intact and the colours fresh. 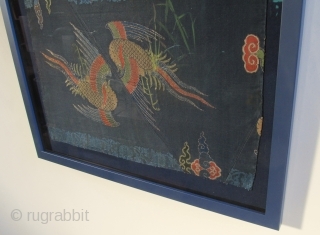 Framed with museum quality uv reflecting glass. Dim. 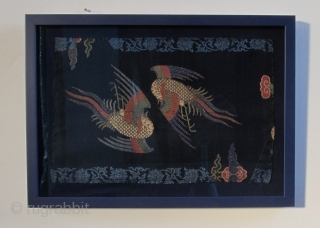 : 51x36,5cm (frame), bird weaving 42 x 28 cm.